I recently had the honor of hosting a guest post about the use of flashcards to help students study. 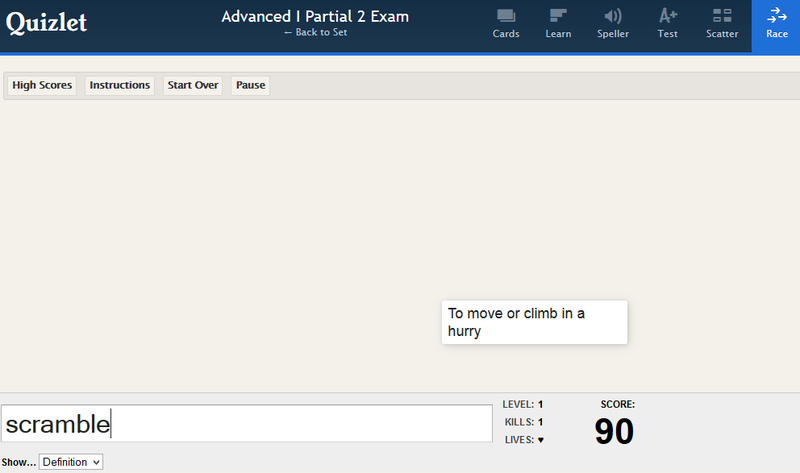 One of my favorite ways to help students is by using Quizlet. 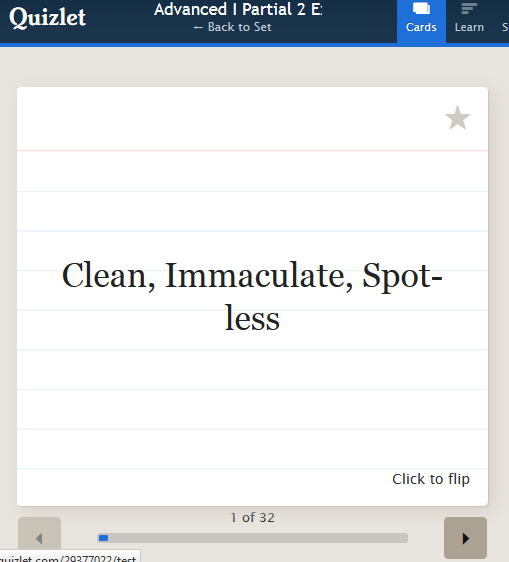 Quizlet allows me to create flashcards for students. In addition to making these for vocabulary words, you can also make them for collocations, dates, authors, math formulas, etc. 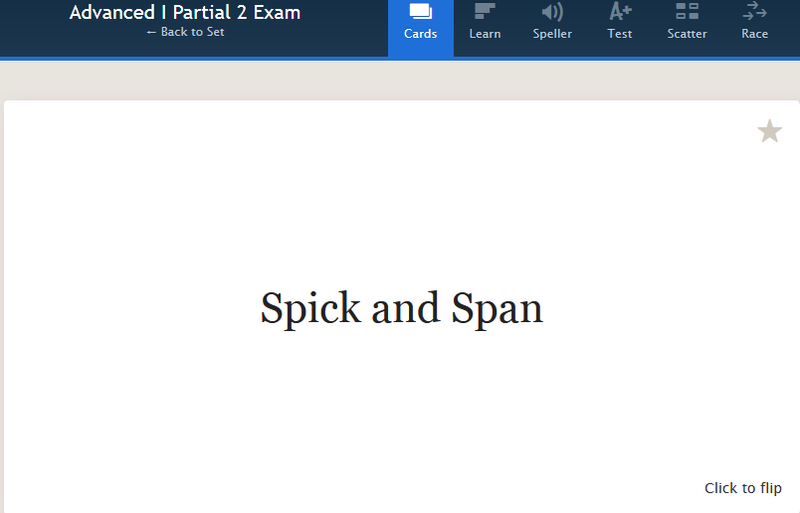 Pretty much flashcards can be made for anything you want to help your students review at their own pace. Students can view lists that you make without logging in or creating an account. 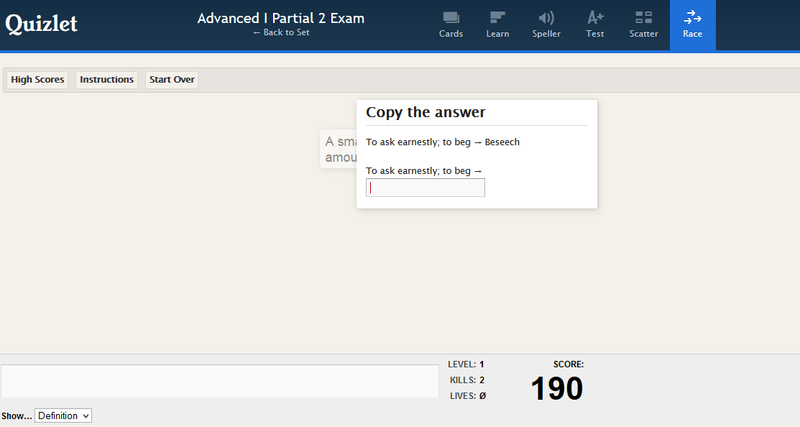 They can also look for lists other users have created (things like GRE, TOEFL; SAT, etc. are very popular). If they create an account they can create their own lists or access them via tablets / smart phones. Here are some of the ways students can use Quizlet. All of these examples use vocabulary words from Lewis Carroll's The Walrus and The Carpenter. You can click on the screenshots to make them bigger for a better look. They can use them as traditional flashcards. 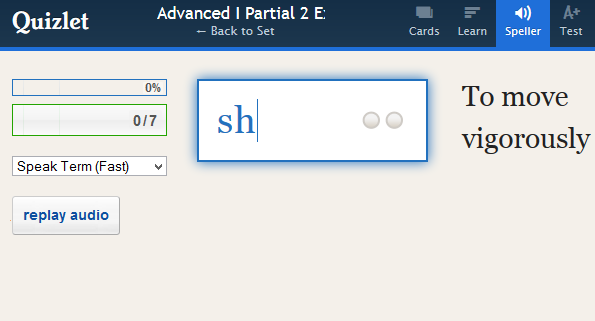 The Quizlet website has a, "cards" section. 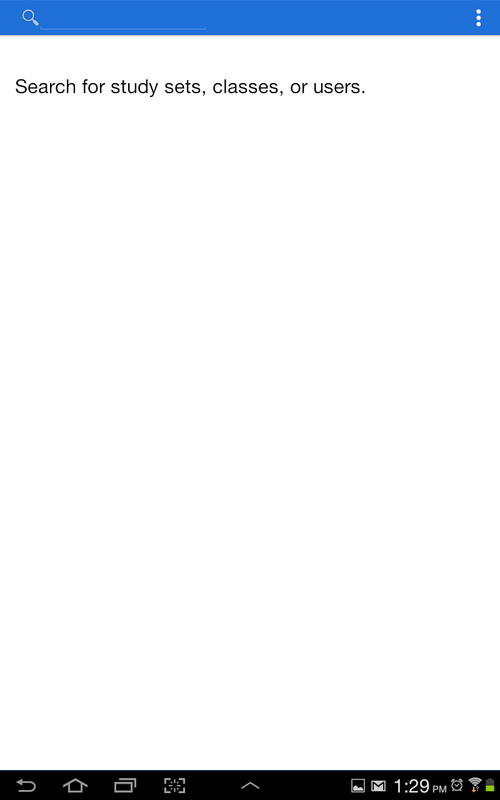 Using the mouse to click from the term to the definition (or the arrow keys). Your students can set their own preference: term-->definition, definition-->term, or a mix of both. "Learn" is a step up from flash cards. The definition is shown and you type the vocabulary word. This can help students with spelling and recalling the word (and not just relying on word banks. If your students are more auditory they can click on, "speak text" where the definition is heard instead of read. This can also help your students with their listening skills. 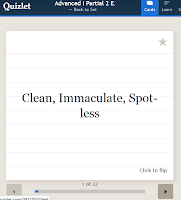 The "Speller" option lets your students hear the word being spoken as they see the definition. Then they try to type the word correctly. This is great for students who struggle with English's less than phonetic spelling. It is also nice for character names, authors, and other proper nouns. Not the most dynamic or interesting option, but I know some students have found it very helpful. Gamification is AWESOME and a great incentive for many students. 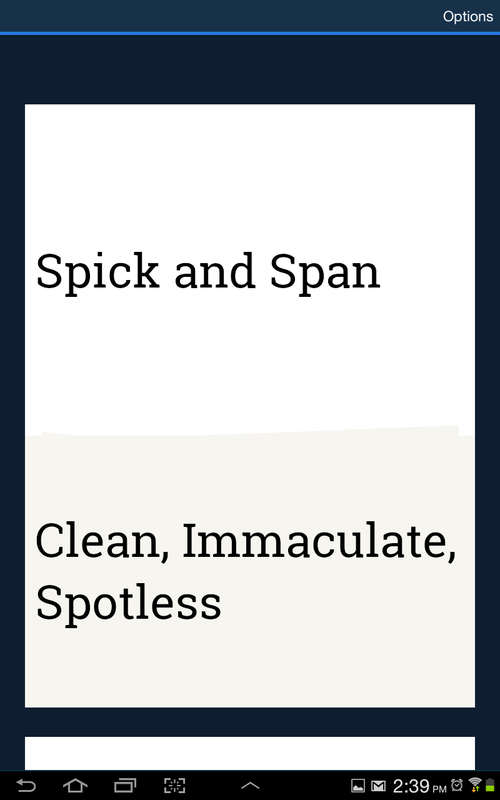 Quizlet has many different options.One is called "Scatter." Essentially the definitions and terms are both scattered randomly on the screen. Your students can click and drag the terms / definitions to their corresponding term. Quizlet times you, so your students can try to make their best times. The other game is space race! The definition (or term depending on your preference) will scroll from the left side to the right side of the screen. Before it gets to the right side you need to write the term (or definition). Scoring? Each time you guess incorrectly you lose 10 points. If you guess correctly, you get 100 points. By the time it gets to the right you will be given the definition and answer and asked to correctly type the answer. Repetition is key! Once they log in they can access lists that you have made (or other users have made) as well as few different ways to study. 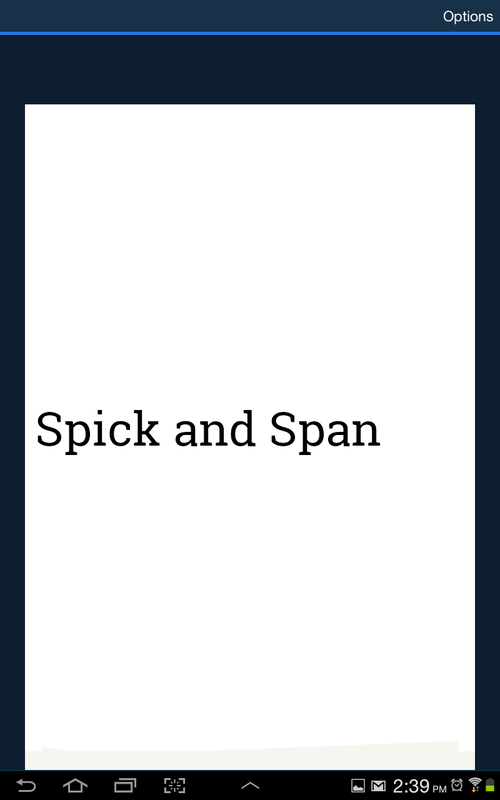 The first perk of the app is it includes access to a list of all the terms and definitions. From here, the students have the same flashcard function under "cards," as the website with some more options. You can start with the terms, definitions, or both sides. Another option is to shuffle the cards or keep them in the same order. Once more, for the auditory students, there's the option for the text to be spoken. Swiping up and down lets you switch in between terms and swiping to the right shows you the definition. Another section is "Learn," this shows the definition and students type the word, so more involved than just a flashcard. Plus it helps them with spelling. All in all though, not the most exciting function. Luckily though the app also has a game! 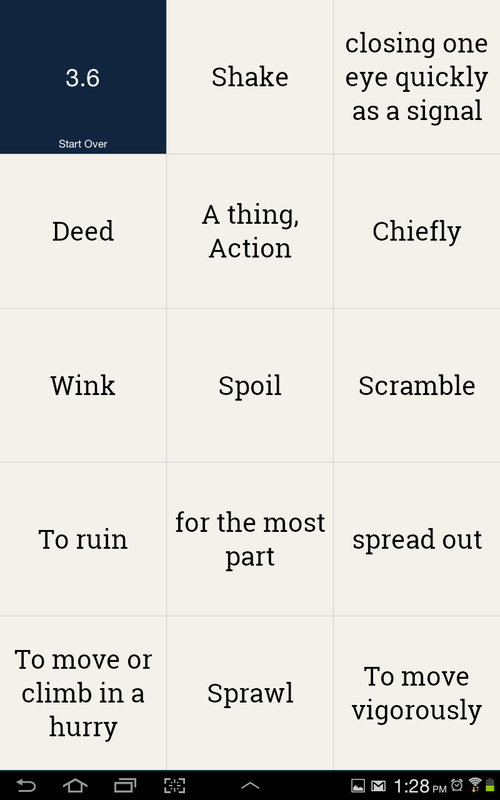 This matching game is more organized than the scattered version for computers, but has essentially the same rules. Students match definitions to terms and race against a clock to score their best time. Now, do I think that teachers should depend exclusively on sites like Quizlet for students to learn words? No! I believe there are many dynamic ways to really help students learn words. However, this can be a great supplementary tool to help the students get additional help the best way possible for them! As a class? You can also use it in class as a review tool! Put one of the games like "Match" or "Scatter" on the white board and have students get into teams. They can take turns buzzing in (raising their hand) to answer a review question. If they get it right, they can try to match the vocabulary words for an additional point (or to make the point valid). I know there are many other sites like this on the web, but this is my favorite! Do you prefer another site or love Quizlet as much as I do? I'd love to hear from you! Drop a comment here, tweet me @mELTingTeacher or comment at The Melting Teacher' facebook page. ESL preschools for native English speakers? Crayons on the whiteboard: color me happy!